Sports-related knee injuries are common, accounting for a significant percentage of all sports injuries. Ligamentous knee injuries have been estimated at approximately 98 of 100,000 per year . While injuries are common in many sporting activities, sports involving twisting and ''cutting'' movements and contact sports are most likely to result in knee injury. Knee injuries are especially common in female athletes, occurring several times more frequently than in their male counterparts participating in cutting sports [2,3]. Serious knee injuries result in decreased athletic performance or may be career ending in elite athletes. In recreational athletes, knee injuries result in diminished lifestyle and time off work. Failure to recognize and properly manage knee injuries can result in premature osteoarthritis in both groups. While both acute and chronic knee injuries are important in the athletic population, acute injuries account for most injuries requiring evaluation by MRI. For this reason, this article will focus on the systematic approach to MR evaluation of acute knee injuries. Sports injuries affect the knee menisci, ligaments, cartilage, bones, and peri-articular soft tissues. Complex injuries involving multiple structures are common, and recognition of the full extent of injury is critical to effective treatment. In the setting of acute knee injury, the physical exam may be less reliable, owing to swelling, effusion, and guarding [4-6]. A carefully elicited history may help in establishing a likely mechanism of injury, but is often nonspecific. Therefore, diagnostic imaging, in particular MRI, plays an important role in the urgent work-up of athletes with acute knee injury. *Corresponding author. E-mail address: [email protected] (C.W. Hayes). sportsmed.theclinics.com and may result in fewer unnecessary arthroscopies [8-12]. A recent trial found early MRI was cost-effective in the acute knee injury setting, in terms of cost, quality of life perception, and lost productivity . Others have cautioned that because of variation in patient populations, and regional experience with MRI and arthroscopy, extrapolation of these results to the athletic population cannot be assumed [10,14]. Regardless of existing evidence for or against MRI, the test is frequently obtained urgently for both elite and casual athletes sustaining acute knee injuries in the United States. In the acute injury setting, we recommend an approach to knee MRI interpretation that includes both evaluation of individual structures and a global assessment for certain reproducible injury patterns. Few knee injuries involve isolated structures, with complex injuries involving multiple tissue structures being common. Furthermore, in knees with multiple injuries, the sensitivity and specificity for ligamentous and meniscal tears is decreased . Therefore, we believe that the recognition of specific injury patterns can help in a more complete identification of the extent of injuries, aiding clinical management. In this article we first review the evaluation of individual knee structures. We then describe our mechanism-based consolidated approach, whereby complex knee injury patterns can be recognized from the MRI patterns involving bone, ligaments, menisci, and periarticular soft tissues. A comprehensive discussion of the many technical factors influencing MR image quality is beyond the scope of this article. However, several basic technical issues merit brief discussion. We perform a standard knee protocol for both acute and chronic knee injury settings, and we use essentially the same protocol for adults and children. We do not routinely use intravenous or intra-articular gadolinium contrast for the setting of acute knee trauma. Regarding magnet strength, several studies have compared the accuracy of images from low and high field strength magnets in assessing knee injuries, and have found no significant difference in the assessment of meniscal tears and anterior cruciate ligament (ACL) injuries [16,17]. The choice of specific knee MRI sequences varies considerably by institution, by machine, and by physician preference. Our protocol (at 1.5 T) consists of five routine sequences, including a conventional spin echo (SE) intermediate or ''proton density'' (PD) weighted series in the sagittal plane; fast spin echo (FSE) PD with fat suppression (FS) series in the sagittal, coronal, and axial planes; and a 3-D spoiled gradient recall (SPGR) FS series in the sagittal plane for articular cartilage evaluation. Low field strength ''open'' and extremity-only magnets often are incapable of FS, and one or more short tau inversion recovery (STIR) sequences are substituted for FS sequences in this case. Although opinions vary, recent studies have suggested that FSE sequences are inferior to comparable conventional SE sequences in enabling the detection of meniscal tears [18-21]. Regarding image presentation for interpretation, ''soft copy'' image viewing on a workstation is preferred to ''hard copy'' film viewing because of the benefits of electronic brightness and contrast (window and level) adjustments, magnification, scrolling, and linking of images. The use of very high contrast ''meniscal windows'' is of little value , and no longer advocated by most authors. Finally, whenever possible, the MRI study should be interpreted in conjunction with a recent radiograph. 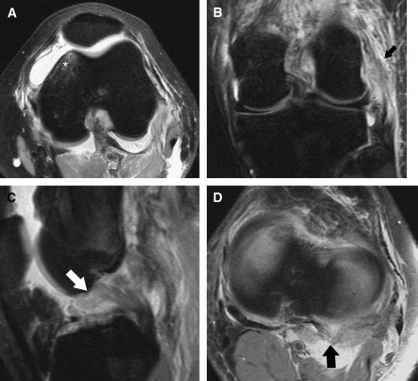 Even with experienced readers, calcified abnormalities, including small loose bodies and chondrocalcinosis may be overlooked or misinterpreted by MRI alone. Furthermore, small but significant fractures, such as fibular tip avulsions or Segond fractures, may be missed by MRI alone. Meniscal tears occur commonly in the setting of acute knee trauma. A ''trap and twist'' mechanism occurs when a varus or valgus force pinches the involved meniscus between the femoral condyle and tibial plateau, followed by abrupt rotation that disrupts the meniscus in the longitudinal plane. Thus, rotational knee injuries are the most likely to produce meniscal tears. 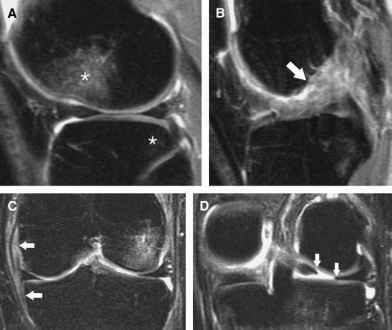 Although MRI criteria for meniscal tears have been long established and high-accuracy demonstrated [20,23-26], thorough scrutiny of images in multiple planes is still required in each case. This is especially true for the acute injury setting, in which associated edema and effusion may limit assessment. Furthermore, significant acute tears must be differentiated from preexisting me-niscal abnormalities and numerous normal variants of meniscal anatomy. The detection and standard classification of meniscal tears is based on abnormalities of the meniscal signal and shape. The most widely accepted scale for intra-meniscal signal abnormalilties classifies signal changes into Grades 1 to 3: Grade 1, globular increased signal not extending to the meniscal surface; Grade 2, linear increased signal not extending to the meniscal surface; and Grade 3, linear (3A) or globular (3B) increased signal extending to an articular surface (superior or inferior) of the meniscus  (Fig. 1). Using Grade 3 signal changes as indicating a tear, and arthroscopy as the ''gold standard,'' the accuracy of MRI is greater than 90% in most series . Most authors agree that abnormal signal must extend definitively to the meniscal surface to be called a tear [27,28]. This is informally referred to as the ''squint sign'': if one has to squint hard to call the signal as extending to the meniscal surface, it likely is not a true tear. Fig. 1. Grading of meniscal abnormalities and types of tears. (A) Left: grading for meniscal signal abnormalities . Right: types of meniscal tears. A, radial; B, vertical longitudinal; C, vertical oblique (parrot beak); D, horizontal oblique. (B) Typical example of Grade 3A signal abnormality, a horizontal oblique tear. propagates anteriorly and posteriorly, with the inner fragment displacing into the central or intercondylar notch region of the joint . Large meniscal fragments will often displace into the intercondylar notch, creating a conspicuous ''double PCL [posterior cruciate ligament] sign.'' 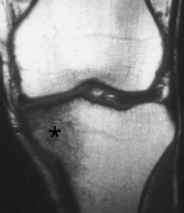 A bucket handle or flap tear may fold back on itself, resulting in the ''flipped meniscus'' appearance of two triangular fragments pressed against one another . Smaller meniscal fragments can displace in a more subtle fashion into the medial or lateral recesses and gutters, posterior recess, or into the popliteal recess . Meniscal variants, such as the discoid shape, predispose to tear, especially in adolescents [33,34]. In the case of a torn discoid meniscus, the remaining fragment may appear deceptively normal in size and shape. Several intra-articular ligaments may cause confusion and lead to false positive diagnosis of meniscal tear. The meniscofemoral ligaments (Humphry and Wrisberg), transverse meniscal ligament, and meniscomeniscal ligament have been reported as potential pitfalls in this regard [35-38]. Fastidious identification and accounting for all in-tra-articular structures, especially in the intercondylar notch, helps in avoiding such pitfalls. 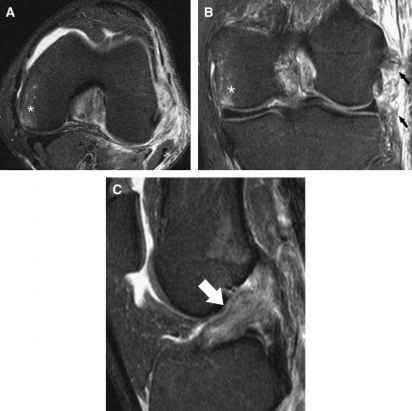 Primary and secondary MRI signs of acute ACL tears are well described . Reported sensitivity and specificity for acute complete ACL tears in adults [41,42,44] and adolescents  is high for most series. The primary signs of ACL tear, including discontinuity, abnormal morphology, and abnormal increased signal intensity, are most valuable [40,44] (Fig. 2). Fig. 2. (A) Normal ACL. 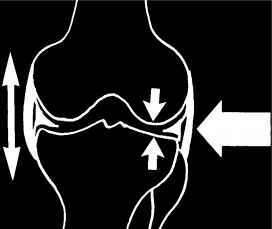 (B) Acute ACL tear (arrow). Secondary signs, including bone contusions of the lateral femoral condyle and posterior lateral tibia [46-49], anterior tibial translation, uncovering of the posterior horn of the lateral meniscus, and buckling of the PCL, are less sensitive . 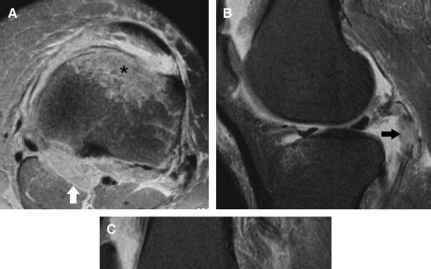 The diagnosis of partial ACL tear by MRI is less accurate [50,51]. In differentiating partial from complete tears, secondary signs may be useful, as well as evaluation of the ACL in multiple planes (sagittal, coronal, axial) [51,52]. PCL tears are accurately detected by MRI [53-55]. 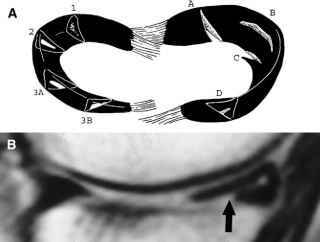 The most important signs are morphologic: partial or complete discontinuity, and amorphous increased signal intensity of the ligament (Fig. 3). When present, bone avulsions of the tibial attachment are readily seen. Isolated PCL tears are relatively common, typically due to a posterior directed force on the anterior tibia with the knee in flexion . PCL tears often occur as part of complex injuries, including knee dislocations and hyperextension with posterior tibial translation . The medial collateral ligament (MCL) consists of superficial and deep layers. The superficial MCL layer is the knee's primary valgus restraint. The most valuable signs in detecting MCL injury are focal disruption of fibers, thickening, and abnormal increased signal within and surrounding the MCL (Fig. 4). With acute MCL injury, correlation between MR grading and clinical grading (Grades 1, 2, and 3) is only moderately accurate [57,58]. Rather than arbitrarily attempting to fit MCL injury patterns by MR into clinical categories, we prefer to grade simply as: normal, incomplete injury, and complete tear. Fig. 3. (A) Normal PCL. (B) Acute PCL tear (arrow). restraint against varus angulation, internal/external rotation, and anterior/posterior tibial translation . Injuries to the posterolateral corner structures can result in serious acute or delayed posterolateral rotary instability of the knee. While some individual structures at the PL corner such as the FCL, popliteal tendon, and biceps femoris tendon are readily evaluated, the small size and anatomic variability of other structures makes their evaluation difficult. However, most PL corner injuries involve multiple structures and the presence of localized swelling and injury to at least one of the structures usually indicates a PL injury. Fig. 4. (A) Normal MCL. (B) Acute MCL tear, complete (arrows). fibers, is more common than tendon rupture, but less specific. The distal biceps femoris tendon can be similarly assessed for swelling, abnormal signal, and discontinuity. The posterolateral joint capsule, including the arcuate ligament, can be assessed for focal disruption, even in the presence of soft tissue swelling. Finally, osseous abnormalities can be an important secondary sign of PL corner injury. Bone contusions involving the anterior aspect of the medial femoral condyle and adjacent anteromedial tibia indicate a hyperextension-varus injury, the most common mechanism for PL corner injury . A small avulsion of the fibular tip (arcuate sign) may also indicate significant PL injury [63,64]. When seen in conjunction with these bone injuries, any abnormality at the PL corner should be viewed with suspicion. In any acute knee injury, a thorough evaluation of the articular cartilage should be performed. Fluid-sensitive sequences such as FSE PD FS, FSE T2 FS, and STIR sequences, as well as specialized cartilage sequences such as 3D SPGR FS, are well suited for cartilage evaluation . Injury mechanisms most commonly associated with chondral or osteochon-dral injury include transient patellar dislocation and ACL injuries. With the latter, osteochondral injury occurs at the site of impaction of the anterior lateral femoral condyle and the posterior lateral condyle resulting from anterior translation of the tibia at the time of ACL rupture [66-68]. Delaminating cartilage injuries may be subtle, with linear fluid between the cartilage and subchondral bone  (Fig. 5). Displaced cartilage fragments can be remote from their donor site; these fragments can be difficult to identify if a joint effusion is not present, and therefore should be searched for carefully. Fig. 5. 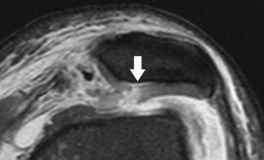 Acute delaminating cartilage injury (arrow). 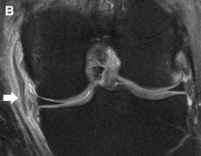 high-signal areas usually represent trabecular ''bone marrow edema'' (BME) secondary to microtrauma (''bone bruise'' or ''contusion''), or macroscopic fractures that may still be radiographically occult [70-72]. As described by Palmer and colleagues , impaction injuries produce fairly large areas of edema, while avulsions produce smaller abnormalities localized beneath the avulsed structure (Fig. 6A). Contiguous bone contusions denote an injury occurring in extension, whereas noncontiguous contusions occur during abnormal translation of one bone over another, usually in flexion  (Fig. 6B,C). Fig. 6. (A) Impaction (*) versus avulsion (arrows) BME patterns. (B) Contiguous "kissing" contusions. 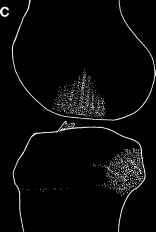 (C) Noncontiguous contusions. avulsion [63,64]. These fractures are associated with other significant internal derangements, and should be searched for carefully. Assessment of the periarticular structures for ancillary findings can be useful in establishing the mechanism of injury in a given case. Localized soft tissue swelling or hematoma may denote the site of a direct blow force. Hemarthrosis and lipohemarthrosis show two or three distinct fluid layers, respectively, and indicate significant intra-articular injury. Localized deep soft tissue swelling is also a sign of likely adjacent ligamentous, capsular, or meniscal injury. In addition to assessing individual knee structures, we find it useful to apply a ''pattern approach'' to classify the mechanism of knee injury. When the mechanism can be deduced, additional ''at risk'' structures may be identified, with a reevaluation often demonstrating additional injuries. Multiple mechanism-based knee injury patterns have been described clinically, radiographi-cally, and with MRI. Pivot shift injury, clipping injury, O'Donoghue triad, Segond fracture, and transient patellar dislocation are several well-described patterns . Major injury producing forces at the knee include angulation (varus, valgus), rotation (internal, external), translation (anterior, posterior), hyperextension, axial load, and direct blow trauma. Injuries as a result of a pure or single force are unusual, as most injuries result from two or more forces exerted simultaneously or in succession. Fig. 7. Valgus pattern demonstrating impaction at entry (large arrow) and distraction at exit (long arrow). pronounced bone injuries . Forces directed across the extended or nearly extended knee typically produce large impaction bone contusions at the site of entry, and small avulsion BME or ligamentous tears at the opposite, exit site of the force (Fig. 7). Hyperextension injuries produce distraction at the posterior side of the knee, leading to significant ligamentous injuries at the postero-lateral corner, posteromedial corner, or in severe cases, both. Fig. 8. Hyperextension injury pattern. Axial FSE PD FS image (A) showing anterior contusion (*) and posterior edema (arroW) owing to distraction injury. (From Hayes CW, Brigido MK, Famadar DA, et al. Mechanism-based pattern approach to classification of complex injuries of the knee depicted at MR imaging. Radiographics 2000;20:121-34; with permission.) Sagittal FSE PD FS images (B,C) showing posterior capsule rupture (black arrow) and PCL tear (white arroW). rotation forces are more likely to produce traumatic meniscal tears as a result of the ''trap and twist'' mechanism. Taking into account the forces and positions described previously, we described 10 distinct mechanism-based knee injury patterns that can be identified by MRI : (1) pure hyperextension; (2) hyperextension with varus; (3) hyperextension with valgus; (4) pure valgus; (5) pure varus; (6) flexion, valgus, with external rotation; (7) flexion, varus, with internal rotation; (8) flexion with posterior tibial translation; (9) patellar dislocation (flexion, valgus, with internal rotation of femur on tibia); and (10) direct blow. In a small series, 85% of knee injuries could be classified into 1 of these 10 patterns . MRI features of these patterns are described as follows. Fig. 9. Hyperextension varus pattern. 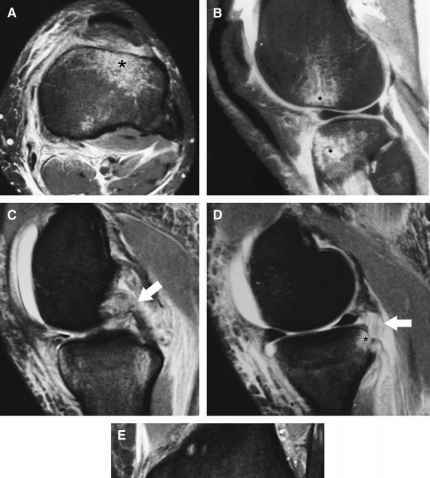 FSE PD FS images showing typical contusion at antero-medial femoral condyle (A, *), PL corner injury (B, arrows), ACL tear (C, arrow), and posterior capsule rupture (D, arrow). may result in ACL or PCL injuries, respectively. With sufficient force, frank knee dislocation occurs. Hyperextension with varus (uncommon) injuries characteristically show impaction BME in the anterior medial tibia and anterior medial femoral condyle (Fig. 9). Injuries of the PL corner are present, with additional ACL tear and possible avulsion of the proximal fibular tip. Hyperextension with valgus (rare) force produces distinctive impaction BME at the anterolateral proximal tibia and anterior lateral femoral condyle (Fig. 10). Ligamentous injuries include PCL tear and posteromedial corner, which may be accompanied by small posterior medial tibial rim avulsions. The contiguous, or ''kissing'' bone contusions at the anterolateral aspect of the knee should be distinguished from similar, but noncontiguous translational impactions of the lateral femoral condyle and posterior lateral tibia that occur with ACL injury. Pure valgus (uncommon), or clipping injury is characterized by contiguous impaction-type BME of the lateral tibia or lateral femoral condyle (Fig. 11) and small avulsion BME foci involving the medial condyle or medial tibia at the insertions of the deep MCL. Partial or complete MCL injury is present. Fig. 11. Pure valgus pattern. FSE PD FS images show lateral femoral condyle contusion (A, *), MCL tear (B, arrows), and ACL tear (C, arrow). Severe valgus force leads to additional ACL injury and medial meniscal tear, the O'Donoghue triad . Pure varus (rare) is characterized by impaction BME of the medial tibia and femoral condyle, with soft tissue injury of the iliotibial band and FCL (Fig. 12). This pattern is rare, as varus forces are usually accompanied by rotation. Flexion, valgus, with external rotation (common) or pivot shift injury pattern accounted for approximately half of all complex knee injuries in our series . Noncontiguous impaction contusions of the mid lateral femoral condyle or posterior lateral tibia are typically present (Fig. 13). In some cases, BME at the posterior medial tibia or medial femoral condyle is also present, as a result of either avulsions or ''contrecoup'' impactions . The ACL is completely torn, and there is variable injury to the MCL. However, complete MCL tear is uncommon with this mechanism. The PL corner is occasionally injured. Both medial and lateral menisci are at risk for tear, with approximately equal incidence in our experience. Fig. 12. Pure varus pattern. FSE PD FS images show small medial condyle contusion (A, B, *) and FCL injury (B, arrows). 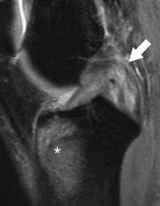 ACL was also torn in this case (C, arrow). Fig. 13. 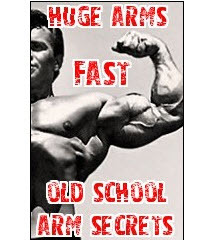 Flexion, valgus, external rotation pattern. FSE PD FS images show typical contusion pattern involving anterior lateral femoral condyle and posterior tibia (A, *), ACL tear (B, arrow), incomplete MCL injury (C, arrows), and large radial tear of lateral meniscus, posterior horn (D, arrows). Flexion, varus, with internal rotation (rare) produces the well-described Se-gond fracture, an avulsion at the lateral capsule insertion on the tibia [74,79]. Complete ACL tear is present, with noncontiguous impaction contusions in the lateral condyle and posterior lateral tibia (Fig. 14). The avulsion BME at the site of the Segond fracture may be subtle. PL corner injury, and both medial and lateral meniscal injury may occur with this mechanism. Flexion with posterior tibial translation (uncommon) may occur when an athlete falls onto the flexed knee, with the contact driving the tibia posteriorly. There may be no contusions, or BME may be present at the anterior tibial tubercle at the site of the blow (Fig. 15). Most often this mechanism results in isolated PCL tear. Severe force, more common in dashboard injuries than in athletics, may cause posterior knee dislocation. Fig. 14. Flexion, varus, internal rotation pattern. 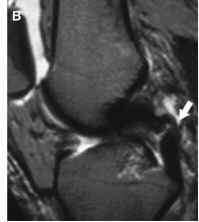 FSE PD FS images show focal BME at site of Segond fracture (A, arroW) and ACL tear (B, arrow). to the patella, which may be well demonstrated with MRI. In addition, injury to the medial retinaculum, medial patellofemoral ligament and medial patello-tibial ligament may be present [77,80,81]. Patients with significant supporting soft tissue injury or patellar chondral injury following transient dislocation may benefit from surgery . Direct blow (uncommon) mechanism is characterized by an impaction contusion with BME at the site of injury (Fig. 17). If the injury is recent, the adjacent soft tissue may show edema or hematoma. With older injuries, the bone contusion may persist longer than the soft tissue abnormality. Typically there is no significant internal derangement associated with this mechanism. Fig. 15. Flexion, posterior tibial translation injury pattern. FSE PD FS image shows large contusion at site of posteriorly directed force (*) and PCL tear (arrow). Fig. 16. Flexion, valgus, with internal rotation of femur on tibia (patellar dislocation). 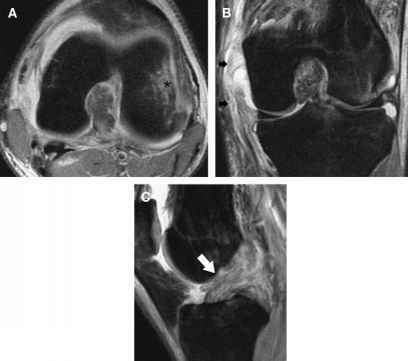 FSE PD FS images show typical contusions of lateral femoral condyle and medial patella (*), with a displaced intra-articular cartilage fragment (A, arrow), and extensive osteochondral injury at apex of patella (B, arrow). Fig. 17. Direct blow pattern. Localized contusion (*) at site of blow is typical of this pattern. What is a lateral condyle fracture? What does knee fracture look like on mri? How medial tibial stress syndromes occur? How to see a torn meniscus on MRI? How to identify fractured bones in mri? What percentage denotes significant knee swelling?